Primarily known as one of the greatest coaches of Philippine Basketball and head coach of the Philippine National basketball team, Smart Gilas Pilipinas, Chot Reyes takes the spotlight this Saturday (November 15) in "The Bottomline with Boy Abunda" to talk about patriotism and its importance in the Filipino basketball team. Chot Reyes will also share his views on hardwork, commitment, and sacrifice in sports. Why did he quit Gilas Pilipinas? What can he say about the unfair criticisms hurled against him on social media sites? How did he react to the tirade of “EL Presidente” of Philippine Basketball Association Ramon Fernandez? 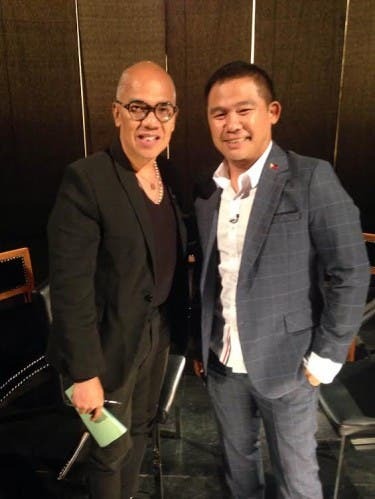 Don’t miss another relevant and engaging discussion with Asia’s undisputed King of Talk, Boy Abunda, on the The Bottomline With Boy Abunda, the 10th USTv Students Choice Awards 2014 Students’ Choice of Public Affairs Program, this Saturday after Banana Split: Extra Scoop. For more updates, log on to www.abs-cbn.com or follow @abscbndotcom on Twitter.